It’s early, but it sure looks like Ernie Grunfeld pulled a rabbit out of his hat in acquiring Markieff Morris from the Phoenix Suns at the trade deadline for the Wizards‘ 2016 first round draft pick. Morris, who got disgruntled in Phoenix after his brother was traded; stated that he needed a change of scenery to get his season and playing career back on track. There were many unknowns when Morris arrived in D.C. Would his temper flare up if things didn’t go his way? Would he give 100 percent effort during games? Although Morris played in just 27 games last year for the Wizards, it already looks like the gamble is paying off for Washington. Morris averaged 12.4 points and 5.9 rebounds on 46.7 percent shooting after he joined Washington at the trade deadline. It was a major improvement from his performance before the All-Star break in Phoenix, where he averaged 11.6 points and 5.2 rebounds on 39.7 percent shooting for the Suns. Now that he has some playing time under his belt with the Wizards’ core and will have an entire offseason to train with his fellow teammates; look for Morris to become an even more integral part of the Wizards’ team next season. Morris was the elusive stretch-4 that the Wizards were looking for. Outside of shots right around the hole, Morris knocked down a personal best 44.4 percent of shots from 10-14 foot range last season. This is important because it gives Marcin Gortat space to operate without worrying about Morris’ defender clogging the paint. The same goes for when Morris is paired in the frontcourt with Ian Mahinmi as Mahinmi does most of his scoring from close in. Keep in mind that Morris is likely to be the third, or even fourth scoring option on this team next season. 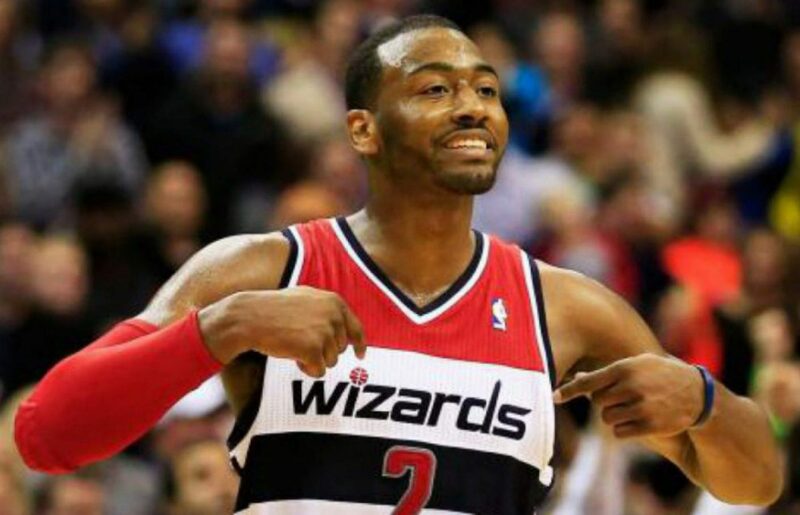 John Wall averaged 19.9 points per game last season while Bradley Beal should average at least 20 points per game with his newly minted $128 million dollar deal. That leaves Morris and Porter jockeying to be the third option on offense. Regardless of who emerges, it’s clear that Morris will stay engaged in the offense as he’s aggressive, assertive, and makes sure he gets his shots up to stay involved in the offense. When the offense gets bogged down, Morris has a full repertoire of low-post moves he can use to back down a smaller defender or face up and shoot over the defender. Morris can also stretch the floor knocking down three-pointers when called upon. Morris shot just 31.6 percent from three-point range after arriving in Washington which isn’t great but forces opponents to respect his outside shot. If Morris can raise his three-point shooting percentage to the 35-40 percent range, that’ll make opposing defenses respect his shot even more in turn, giving Gortat even more space to operate one-on-one down low. With Nene gone, Morris will need to step in and add a layer of toughness that this team was lacking last year. An enforcer if you will. Morris has no problem bumping and bruising down low. And if this team is going to improve on the defensive end, the Wizards will need Morris to take on a bulk of the dirty work so Gortat can succeed. Far too often last season, Marcin Gortat was counted on to grab the defensive rebound while the other four players just watched, hoping Gortat would hold everyone else off. Marcin Gortat accounted for 25.2 percent of Washington’s defensive rebounds when he was on the floor. Gortat isn’t getting any younger and will need help as the Wizards were one of the worst rebounding teams in the league last season both on the offensive and defensive ends. This is where Morris needs to step in and help. If the Wizards are going to improve their rebounding numbers, they’ll need another big man to crash the glass. Aside from Gortat and Morris (who appeared in just 27 games), Otto Porter was the only other Wizard to average more than five rebounds per game. Otto was the second best offensive rebounder for this team corralling 1.3 per game. Morris needs to take on more rebounding responsibility to take the burden off of Gortat and because he’s bigger and more physical than Otto. If he takes on some of the dirty work, this should result in more second chance opportunities as well as a much improved defensive rebounding percentage for the Wizards. Additionally, if Morris takes on more of the tasks on the defensive end, this will allow Porter to focus on boxing out some of the bigger small forwards of the eastern conference; something he struggled with last year. This should also allow Porter to have more energy to be aggressive on the offensive end as he won’t be exerting all of his energy on the defensive end crashing the glass. Morris fills key roles for the Wizards such as defensive and offensive rebounding, outside shooting, and physicality. All of which were areas that the Wizards struggled with at some point during last season. Assuming the team has more continuity this upcoming year and Morris can avoid the injury bug; his ability to fill much-needed roles on both sides of the ball should pay big dividends for the Wizards next season.